Akshay-Ranveer Pull Each Other's Leg on 'Koffee With Karan'! Yesterday, 'Koffee with Karan' season 6 premiered on the television and the fans poured immense love for the first episode. Karan Johar's 'Koffee with Karan' featured Alia Bhatt and Deepika Padukone yesterday. The second episode features Ranveer Singh and Akshay Kumar. After the first episode hit the television, fans were treated with a sneak-peak from the next episode which looks nothing more than a laughter riot. The next episode would feature the humorous witty Jodi Ranveer Singh and Akshay Kumar. The promo from the second episode featured Akki getting fed up with Ranveer and announced, "Hats off to Deepika (Padukone) for being with him!" The statement surely seemed to be a witty one as Ranveer's reaction was completely hilarious. Apart from that, the actors were also seen pulling each other's leg, as Akki cracked a joke about Ranveer. He mentioned revealing that when Ranveer Singh attends a wedding, he is the last one to leave. However, the jokes did not seem to end there. Akshay also added that even when the bride and the groom want him to leave, he just doesn't go! 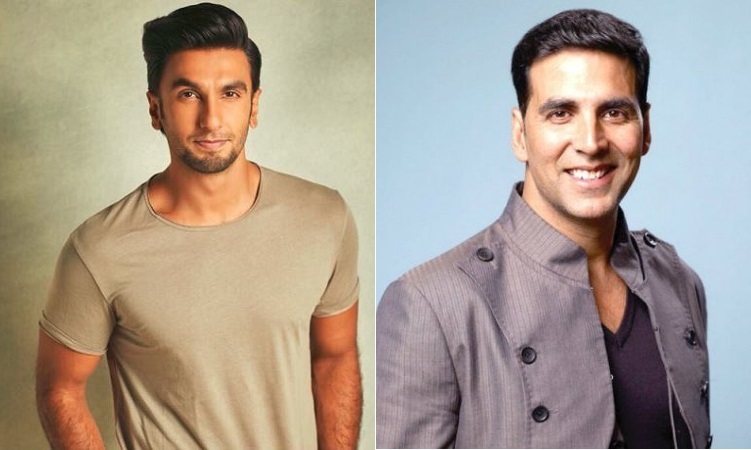 Further, Ranveer revealed that Akshay Kumar told him that he never likes to see money being wasted and therefore dances at weddings, parties, and mundans too!